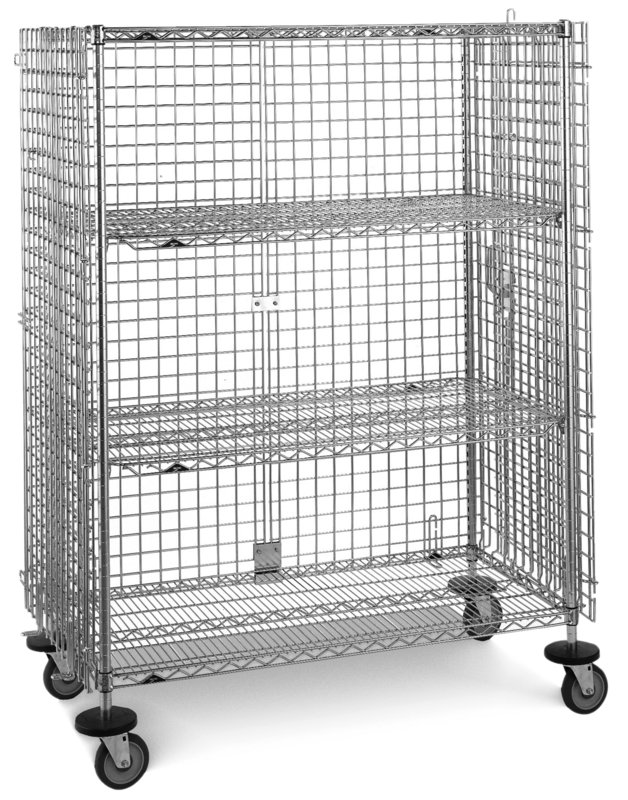 • Adjustable chrome wire shelves sold separately, see below. • Double door – each door opens 270 degrees and can be secured at sides. • Shipped knocked down to save on freight. • Lock up valuables, syringes, medication, drugs, and supplies. • Stainless steel models also available.